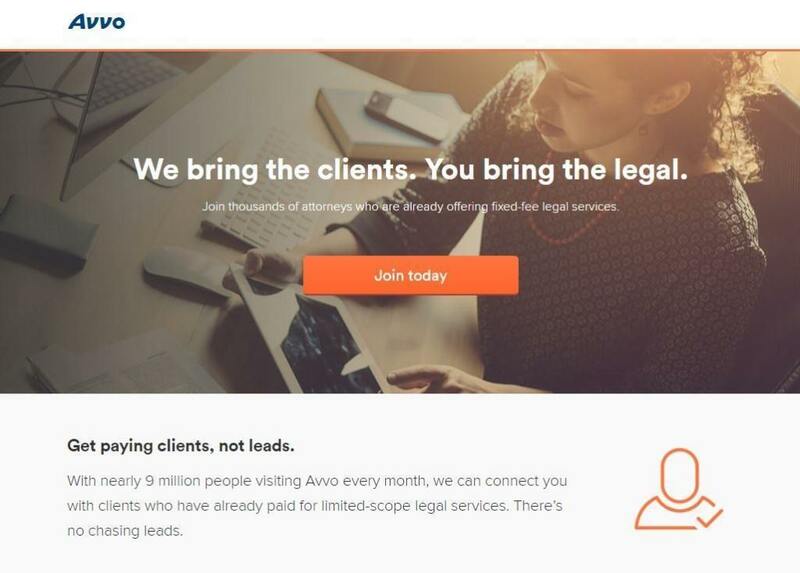 Last month, this blog was the first to report the news that Avvo was beginning to roll out a service, called Avvo Legal Services, offering fixed-fee, limited-scope legal services through a network of attorneys. At that point, the service was being tested in five cities. Today, Avvo is officially launching the service across 18 states that encompass some 70 percent of the U.S. population. Through the service, Avvo is offering consumers access to a network of attorneys who will provide a variety of limited-scope legal services at a fixed fee. The services range from review of legal documents such as business contracts and non-disclosure agreements to more involved matters such as uncontested divorces and citizenship applications. The service builds on a related service Avvo launched last year, Avvo Advisor, that provides on-demand legal advice by phone for a fixed fee of $39 for 15 minutes. As I noted in my previous post, Avvo sets the services to be provided and the prices. Attorneys who sign up for the service can choose which legal services they want to offer. When a client buys the service, Avvo sends the client’s information to the attorney. The attorney then contacts the client directly and completes the service. Clients pay the full price for the service up front. Once a month, Avvo deposits earned fees into the attorney’s operating account. As a separate transaction, it withdraws from the account a per-service marketing fee that the attorney pays to Avvo. With today’s roll-out, Avvo Legal Services is now available in 18 states: Arizona, California, Colorado, Florida, Georgia, Illinois, Massachusetts, Maryland, Michigan, North Carolina, New Jersey, New York, Ohio, Pennsylvania, Texas, Virginia, Washington and Wisconsin. Additional locations will be added in the coming months, Avvo said. By the end of the year, the program will cover roughly 85 percent of the population. Avvo CEO Britton sees this new service as a benefit to both clients and lawyers. For lawyers, it will help them build their practices and recapture a part of the market that is being lost to do-it-yourself legal sites and services. For clients, it enables them to access services at a price that is both affordable and fixed and to understand exactly what services they are purchasing. For lawyers, the service solves three of their biggest pain points, he said: Getting clients, billing and getting paid. He also believes the service will help lawyers build their practices by establishing relationships with clients that could lead to more work down the road. After my first post about this new service, some commentators and readers expressed concern that this arrangement could constitute inappropriate fee sharing. Both Britton and Avvo’s general counsel, Josh King, maintain that the arrangement is not unethical because the marketing fee is paid as a separate transaction. Britton says that those who are raising the fee sharing issue instead should be focusing on the benefits this service offers to lawyers who are trying to run their businesses.